Lately, weekend plans seem to revolve around brunch with bottomless mimosas and overpriced avocado toast. We wondered, would brunch-obsessed millennials give up their Saturday tradition in exchange for travel? HomeAway put it to the test, 93 percent* said they would skip brunch for a month to afford a weekend away with friends. In fact, millennials are hungry to travel with their buds; 72 percent are planning to go on a trip with friends in the next 12 months. And almost half would prefer to take a short 2-3 night trip rather than a week vacation. So, HomeAway ran the numbers to find out exactly how many brunches someone would have to give up for a weekend stay in hot destinations like Palm Springs, Nashville and the Hamptons. 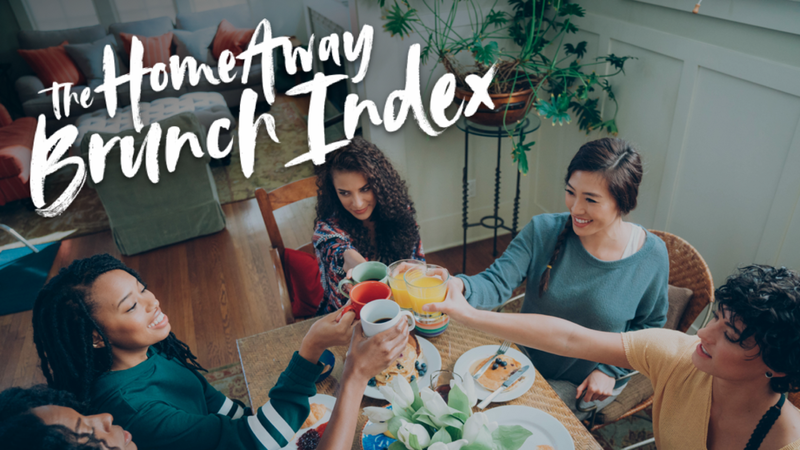 The first ever HomeAway Brunch index compares the average cost of brunch, $34*, to the average per person cost of renting a vacation home for a weekend stay in various destinations. Treat yourself to a long weekend at a lakefront cabin or a million-dollar beach home for less than the nightly rate of a mid-range hotel room. Afford it by skipping a few meals out? We’re in! Besides, what is better than a private stay with built-in perks and extra space from poolside cabanas to giant entertainment rooms and a kitchen fit for making brunch with all the pancakes, bacon and mimosas your heart desires? Start planning your group getaway at HomeAway.com/getaways. 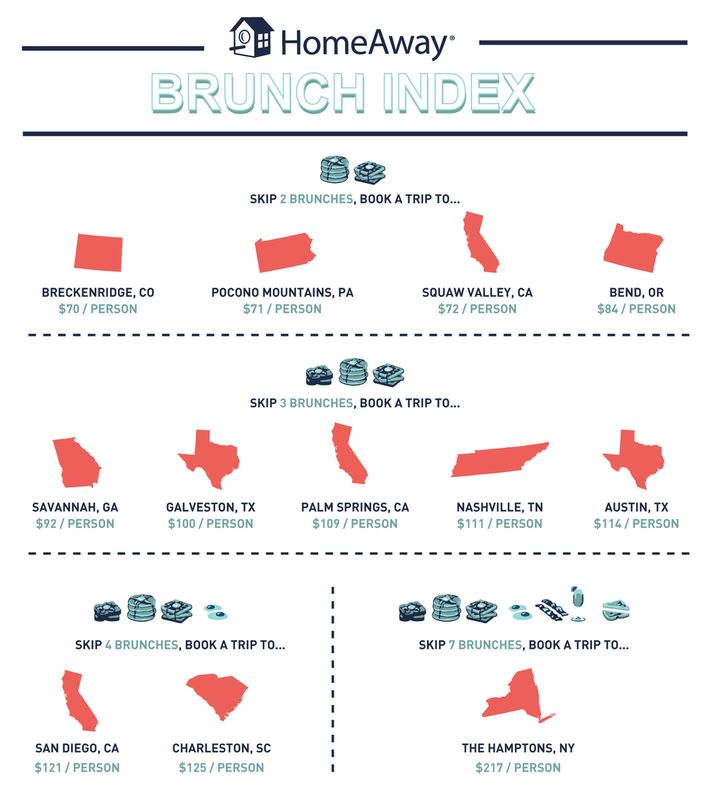 The HomeAway calculated the average price of a brunch cocktail, entrée and coffee in 15 representative cities across the U.S.